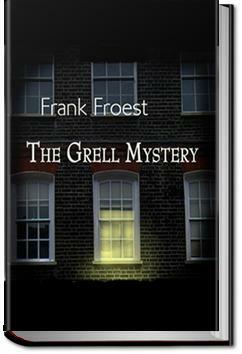 Mr Robert Grell, millionaire and socialite, is found murdered in his study on a stormy evening. It’s up to Heldon Foyle, the detective, to unravel the mystery. . . .Heldon Foyle was more deeply chagrined than he would have cared to admit by the disappearance of Waverley. It was not only that one of the most experienced men of the Criminal Investigation Department had fallen into a trap and so placed his colleagues in difficulties. The very audacity of the coup showed that the department was matched against no ordinary opponents. There is a limit even to the daring of the greatest professional criminals. If there were professionals acting in this business, reflected the superintendent, the idea was none of theirs. Besides, no professional would have written the letter threatening the Yard. That was no bluff—the finger-prints proved that. To hold a Scotland Yard man as a hostage was a game only to be played by those who had much at stake. Only one man shared Heldon Foyle's confidence. That was Sir Hilary Thornton. To the Assistant Commissioner he talked freely. A terrific story, and all the better it is being a straightforward story without the flourishing descriptive detail in so many of these old books. I enjoyed it very much. I really liked this book. At the end of chapter 5, I was surprised, then all throughout I couldn't figure out why 'he' did it, then on to the last few chapters I was again surprised. Got a little long-winded in an explanation at the end, but all in all, it was a good story. Suspense that keeps you turning the pages...A charming and intelligent detective. ..interesting characters ...A systematic approach to crime solving ...an excellent read ! An excellent vintage crime story about police procedural.